Is there a better alternative to Localise? 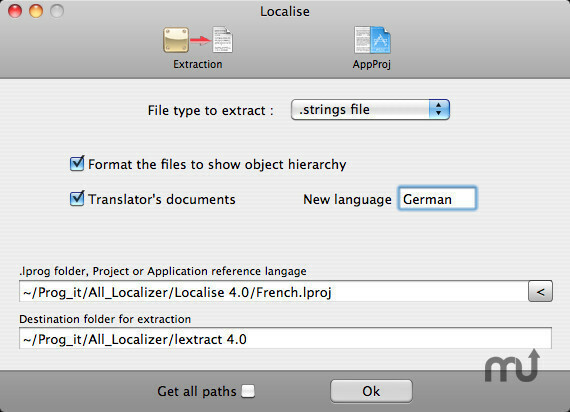 Is Localise really the best app in Editors category? Will Localise work good on macOS 10.13.4? Localise is designed to help developers localise their applications. It operates on either files, files contained in a folder or on files contained in folders of an application or an Xcode project. It creates documents that can supplied to translators. This sofware has three panels: Strings extraction, Texts treatment, Xib-Nib Generation. Adding language "Portuguese (brasil)"
Version 3.9a (0A): Release notes were unavailable when this listing was updated. Localise needs a review. Be the first to review this app and get the discussion started! Localise needs a rating. Be the first to rate this app and get the discussion started!